Based in Charleroi, the Centre of Excellence in Information and Communication Technologies was created in 2001 through the initiative of three Belgian universities – the Facultés Universitaires Notre-Dame de la Paix de Namur (FUNDP), the Université catholique de Louvain (UCL) and the Faculté Polytechnique at the Université de Mons (FPMs). 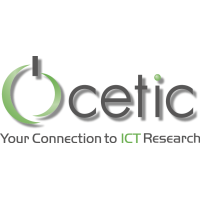 Through its ongoing relationships with university teams, CETIC manages to remain permanently updated on current and emerging scientific ICT progress in Belgium, Europe and the World. CETIC provides expertise in software engineering, innovative service based on service oriented technologies, Cloud and embedded systems. The Software and System Engineering department provides methodological support to help companies or research projects develop high-quality IT products and services, ensuring reliability, safety, security, and compliance with international standards. Software and Services Technologies department provides its strong technological expertise to implement distributed, service-oriented and dynamic computing architectures. Through the use of semantic technologies and by exploiting the real business opportunities of open source software, this department helps accelerate the transformation of information into knowledge. Embedded and Communication Systems department helps companies to prototype innovative embedded systems. This department focuses primarily on embedded software for intelligent wireless systems for a wide range of applications. CETIC’s has developed its expertise through active involvement in European projects from the FP6 and FP7 Research programmes and technological developments as well as in key regional research projects of the Walloon Region. Investing in leading sectors such as eHealth, Cloud Computing, Security and Open Source among others, CETIC develops partnerships with European technological leaders and speeds up the technological transfer to local Belgian businesses. Dr. Jean-Christophe Deprez has been part of the CETIC team in Charleroi, Belgium, since 2005 as a Scientific Coordinator. He received his doctorate from the University of Louisiana in Lafayette in May 2003. Since 2008, Dr Deprez is an ISO representative for Belgium in various ISO/IEC JTC1 Subcommittees, namely, SC7 on Software and System Engineering, SC27 on Security, and TR215 on Health Informatics. 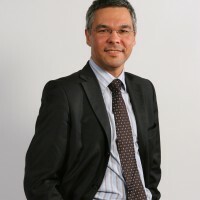 In his latest R&D involvement, Jean-Christophe coordinates CETIC’s contribution to several European projects such as EVIDENCE - on the handling of digital evidence, REDIRNET - on secure exchange system for first responders during crisis, ASCETIC - on energy efficient Cloud, and POLCA - on programming large scale heterogeneous systems. In the past, Jean-Christophe led the Naples project at CETIC (2010-2013). Naples develops a generic ALM platform for VSE based on open source tools. The “Easoflow” solution is actually an instance of this generic Naples platform. From 2007-2009, he coordinated the QualOSS project, funded by the European Commission, on developing a methodology to assess the quality of open source initiatives. 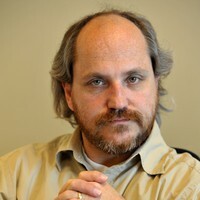 In parallel, Jean-Christophe has also provided guidance to other European research project such as DEPLOY (formal engineering methods) and ExSec on BonFIRE (scalability of continuous security monitoring in the Cloud). Prior to joining CETIC, Dr. Deprez was an assistant professor at Pace University, New York, USA (2001-2005). From the start, his research has been dedicated to improving the quality of software through the coupling of static and dynamic analyses of software project data including the code and other data from software development management tools. 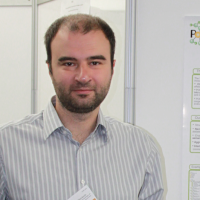 Nikolaos Matskanis is a senior R&D Engineer at CETIC in the Software and Services Department. He holds a degree in Computer Science (2002 Univ. of Crete) and an MSc in “Distributed and Multimedia Information Systems“ (2004 Heriot-Watt Univ. Edinburgh). Mr. Matskanis has expertise in service oriented systems and applications, workflow systems, knowledge engineering, development of Ontologies for information systems and semantic applications. Ne is currently working on EU funded FP7 research projects. Since March 2014 he has undertaken the technical board member and Work Package leader roles for the FP7 REDIRNET and EVIDENCE projects respectively. Stéphane Waha is project manager for the scientific coordination. He has worked for several years for the Walloon Business Federation where he developed a sound knowledge of policy issues around R&D public funding and innovation. He has also worked on the needs of companies while collaborating with academics. That led him to set up and manage the FP6 and FP7 National Contact Point (NCP) for the region. He developed the service, especially taking care of SME's. His action led to the tripling of regional companies in framework programmes. His knowledge of European affairs and Commission's expectations in funding FP projects lead him to be involved in the designing of many winning proposals, amongst which the network of SME NCP's. As NCP for legal and financial affairs, he acquired skills to guide companies and Universities in the understanding of the rights/obligations and IPR/exploitation issues in both the EC grant agreements and consortium agreements. He is currently exploitation manager for the FP7 IP projects PaaSage. He is also developing this position in several proposals for the first calls of Horizon 2020.